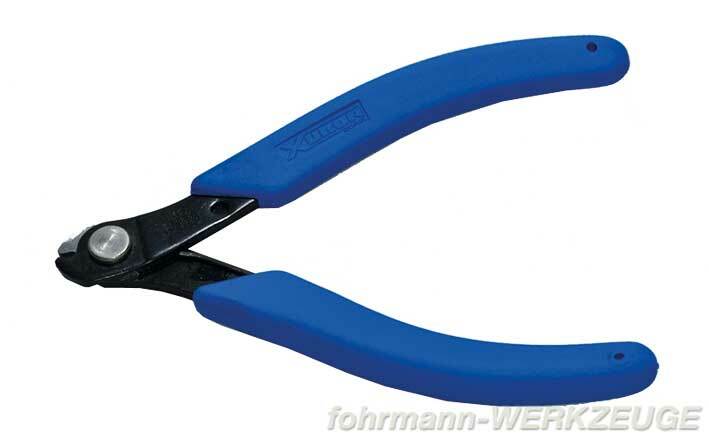 Product information "XURON-Hard Wire Shear"
XURON-Hard Wire Shear is rated for hardened wire, music wire, memory wire and throttle cable. It does not require any special cutting technique. This is an ideal tool for crafters who need to cut a wide variety of materials. Use our XURON-Cutter like any cutter: place the material between the jaws at the desired location and squeeze on the handles. Cutting effort is minimal due to the tools' shearing action. Cushioned Xuro-Rubber™ grips for comfort and Light Touch™ spring action returns cutter to its open position. Related links to "XURON-Hard Wire Shear"
Customer evaluation for "XURON-Hard Wire Shear"